This agreement marks Amadeus’ continued expansion of its airport IT business in the Asia Pacific region. Adelaide’s vision to achieve operational excellence and high passenger satisfaction drives this step-change in airport technology. With more than 8 million passengers annually, a forecast of more than 18 million passengers by 2034, and a vision to become a top tier business centre in Asia Pacific, Adelaide Airport is committed to scaling its airport operations and meeting its growth plans. 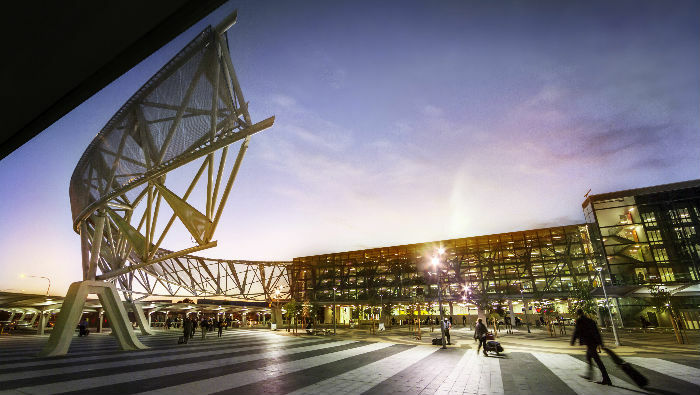 To realise its strategy, Adelaide Airport will replace its key operational IT systems with automated and scalable systems provided by Amadeus. These sophisticated aeronautical airport data management systems are the first cloud hosted systems in Australasia and this partnership positions Adelaide Airport as a leader in airport operational data management. Amadeus’ cloud based technology will streamline Adelaide Airport’s management of aircraft parking, boarding gates, check-in desks, customer information and other mission critical airport terminal services. Accurate and timely flight and passenger data. At the heart of airport operations is data – thousands of pieces of information on flights, passengers, baggage and equipment which determine how the airport ecosystem operates. Through its partnership with Amadeus, Adelaide Airport will gain access to high quality, timely operational data hosted in the cloud that enables the airport to better prepare for the day ahead, proactively manage operations throughout the day, and prepare for future operational demands. Automated resource optimisation. Adelaide Airport is deploying Australasia’s first fully automated terminal resource management system. This enables the airport to manage and allocate key resources (aircraft parking bays, check-in desks, boarding gates, etc.) without the need for operator intervention and further assist airlines to meet critical on time performance targets. Advanced scenario modelling. The new airport management system has advanced forecasting tools that allow the airport to quickly test multiple terminal development scenarios and identify the most effective solution for both its passengers and airline customers. Industry leading flight and baggage information displays. By tightly integrating accurate flight data and resource planning, Adelaide Airport will be able to provide highly accurate flight, gate and baggage belt information throughout the terminal, keeping passengers informed and on the move. Ready for the future. To guarantee improvements in the passenger experience, it is critical that key airport stakeholders (airlines, airports and ground handlers) focus on collaboration and communication. The global Airport Collaborative Decision Making (A-CDM) standards are embedded in the new Amadeus airport management system and this places Adelaide Airport at the forefront of this technology in Australia. “With our new terminal hotel about to start construction, the plans for the expansion of the terminal well advanced and new check-in kiosks and automated baggage systems being deployed, we need the right airport technology partner that can support our growth. “Amadeus’ suite of airport management solutions guarantee the necessary optimisation capabilities for Adelaide Airport to not only manage operations from day one in our existing terminal, but also to continually enhance and evolve operations in line with our needs and growth plans,” said David Blackwell, Executive General Manager Customer Service at Adelaide Airport.